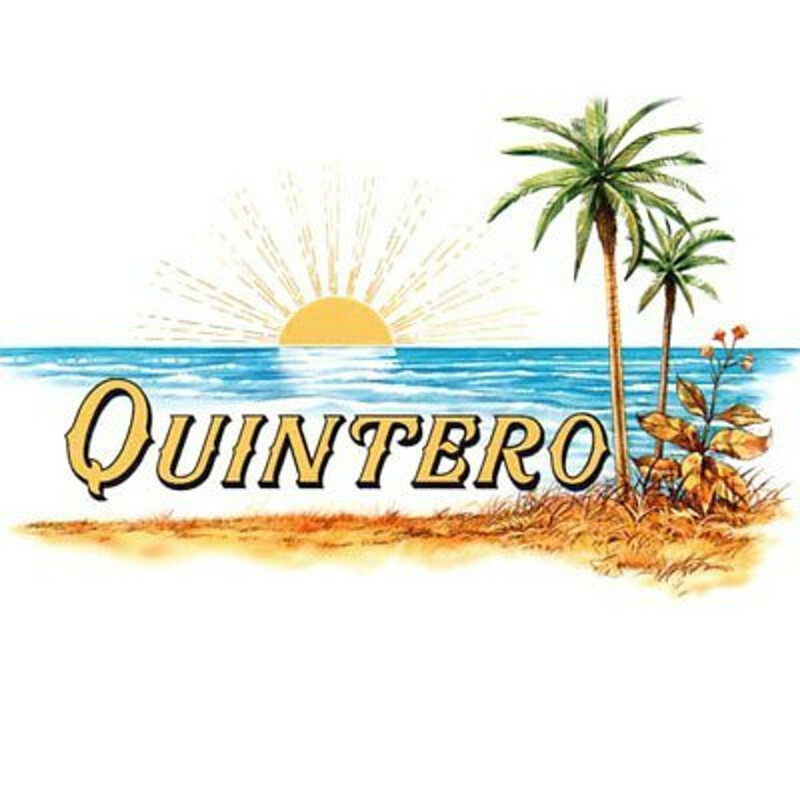 The Quintero cigar brand was created as Quintero y Hermanos or Quintero and Brothers, when Agustin Quintero and his four brothers opened a small cigar factory in the town of Cienfuegos, Cuba in 1924 and began producing a handmade cigar. Cienfuegos, a city on the southern coast of Cuba, is located near the Vuelta Arriba of the Remedios tobacco growing region, and the brand is one of the few Cuban cigar brands not born in the heartland of the prime tobacco growing region of Vuelta Abajo. The Quintero brand and its blend of tobacco quickly became commercially successful both in Cuba and abroad, and the Quintero brothers soon developed several sizes of cigars. By the 1940s, Quintero y Hermanos had opened a much larger rolling factory in Havana, and had begun using prime tobaccos from the Vuelta Abajo region. The brand continued to grow in sales, and was particularly popular in Spain. It the early 1960s, after Fidel Castro nationalized the Cuban cigar industry, the Quintero brand was repositioned as a primarily machine-made cigar, and most of the handmade sizes were dropped in favor of machine-made or hand-finished cigars using short filler tobaccos, sometimes sold in aluminum tubes or tubos. For many years, Quintero was the only Cuban machine-made brand to be globally marketed by Habanos SA. As before, a large part of Quintero production went to Spain. Unusual among Cuban cigars, the Quintero cigar blend is noted for a herbal flavor with sweet aftertaste. The cigars generally benefit from several months of additional aging before smoking.